First and foremost, I'd like to thank each and everyone of you for your sincere comments on my last post (and on my IG account). Your support means the world to me. Now onto today's post. Father's Day is right around the corner so I thought I'd share some of my husband's favorites along with what I got him for this Father's Day. Men can be notoriously difficult to shop for. Luckily for me, I never had a hard time shopping for the hubs. What can I say? I know him well =) I hope you find this list helpful. 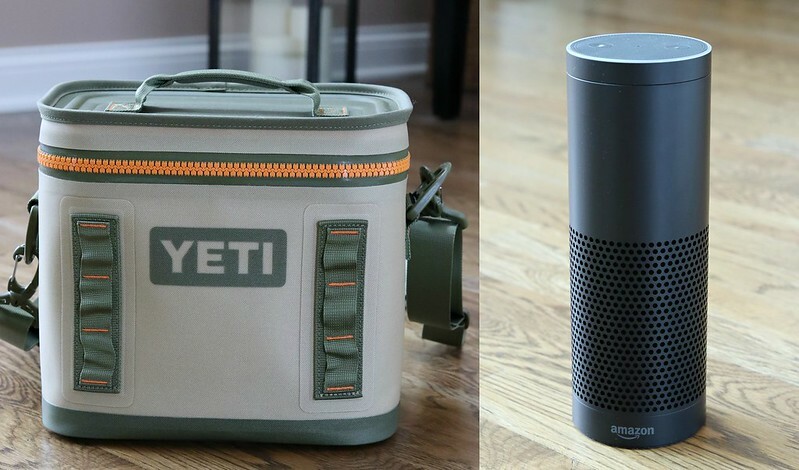 - Yeti soft cooler - If you haven't experienced Yeti products, you need to =) We take this cooler with us everywhere and it's been amazing. It keeps everything cool for more than 24 hours. It's compact yet can hold quite a bit. This cooler is perfect for the pool, the beach or a road trip with the kids. It's a great product that can be used by everyone. We also have a few Yeti tumblers and they have been wonderful as well. - This Father's Day, I picked up this watch holder for my husband (free 2 day shipping). 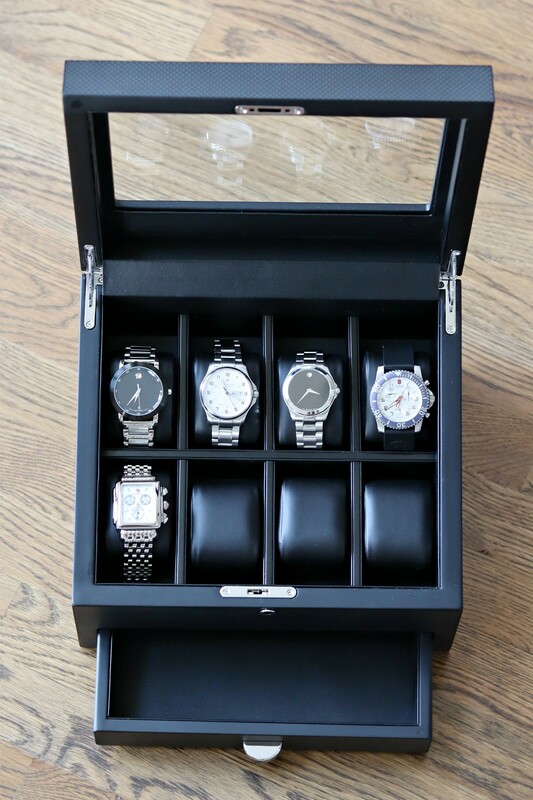 I love it because not only it can hold up to 8 watches but also has a large bottom drawer for other things like sunglasses and/or jewelries. It got great reviews. I just received it today and I am so impressed. It's extremely well made and elegant looking. I can't wait to give it to my husband on Sunday. Of course, you can never go wrong with a classic watch. His Movado watch is here, Victorinox Army watch is here *newer version*, and my Michele watch is here. - I also got him a few things that he can wear everyday. This trench coat is amazing. He's been looking for a classic trench coat for years. He tried on a few ones from Burberry, Brooks Brother, J.Crew and nothing seemed to be the one. I already gave it to him and he loves it. The trench runs true to size. It's really plain and simple and that's exactly what he likes. The quality is amazing and it's 40% off right now. I also picked up a few t-shirts and 2 pairs of shorts along with this UA cap for him.